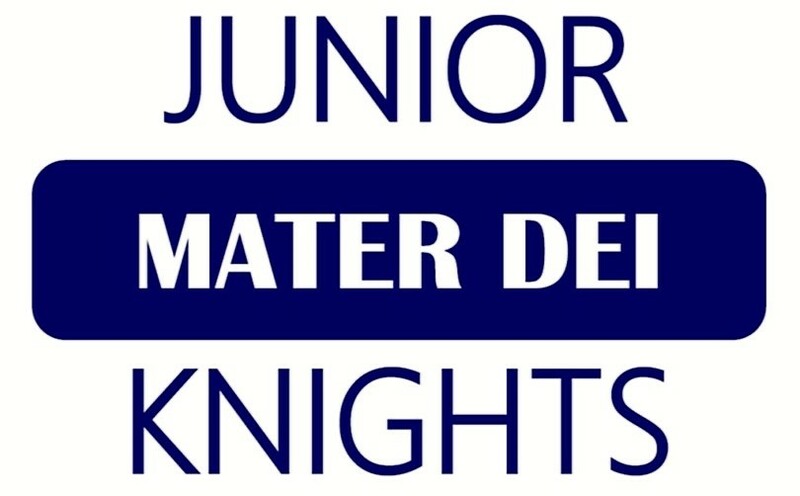 Junior Knights members (ages 0 through 8th grade) enjoy events that provide an opportunity to interact with both current and future Mater Dei Knights! In addition, members receive a shirt; an activities pass, which provides free admission to home athletic events, the fall play, and the spring musical; and a Mater Dei spirit item gift. Events for the 2018-2019 school year include introductions at basketball, football, soccer and volleyball games; participation in the homecoming parade; a Thanksgiving art project and service project; a Christmas party; a track and field fun day; a Science Knight; spring bingo and art project; and a summer “Pizza at the Park” party. While children may join at any time, to guarantee a shirt by the first event on October 2, 2018, please return the registration form and fee by Monday, September 17, 2018. Select this link for the informational letter, which details the events, and the registration form. For additional information, please contact Director of Enrollment Mrs. Maria Zurliene.